In the News: September 2011 -- Dr. King's flag now available at the Martin Luther King, Jr. National Monument and Memorial Gift Shop! | April 2010 -- Ross Flags and Designs unveils the new Cesar Chavez flag | February 2010 -- Dwayne Ross speaks at the Fathers and Families Coalitions annual Prayer Breakfast | February 2010 -- Maria Ross and sponsor Dee Dee Bates of State Farm presents Dr. King's flag to Dallas area schools......Thank you Ms. Bates! | January 2010 -- Maria Ross speaks at RAINBOW/PUSH Martin Luther King, Jr. Breakfast unveiling Dr. King's flag | January 2010 -- Dr. King's flag is displayed at Universities and Colleges across our nation; Spelman College, Morehouse, Northwestern University, Howard, Texas Southern, Richland College, San Diego State, University of Massachusetts, and Florida A&M | January 2010 -- Dwayne Ross speaks at the Los Angeles Southern Christian Leadership Prayer Breakfast | January 2010 -- Omega Psi Phi, 12th District chapters fundraise with Dr. King's flag! 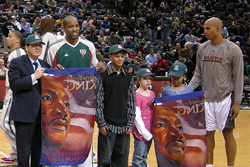 Iota Iota Iota donates 100 flags to local Salt Lake City | January 2010 -- The Kansas African American Museum donates 100 MLK flags to local schools! 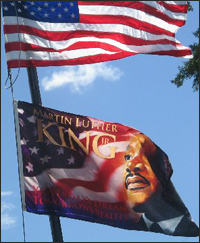 | January 2010 -- Dr. King's flag is in King Day parades throughout our great country! | January 18, 2010 ---- Nation Prepares For Martin Luther King Holiday | January 18, 2010 ---- Victims Of Hate Crime Salute MLK Jr With A Flag | November 2009 -- 12th District -- Omega Psi Phi begins fundraising program with Dr. King's flag! Ross Flags and Designs thanks Omega Psi Phi for working together with us to honor the legacy of Dr. Martin Luther King, Jr. | October 2009 ---- The National Conference of Black Mayors invites Dwayne | September 11, 2009----Ross Flags Inks Deal to Distribute MLK Flags | August 2009 ---- Alpha Phi Alpha National Convention | July 2009 ---- Maria meets Congressman John Conyers, Jr. | June 2009 ---- Dallas Greek Picnic | May 2009 ---- Houston, Texas -- Mr. Howard Song, Chairman of Southern USA Falun DAFA Association | April 2009---- Inland Empire, Ca City News April Issue, articled entitled, “Two couples work .... | March 2009---- KHOU--TV, Great Day Houston Deborah Duncun Show invites Maria Ross | February 2009---- Mayor Villaraigosa, Bishop T. Larry Kirkland, and Reverend Joseph Nixon host ... | January 2009---- Los Angeles, California--SCLC Greater Los Angeles & SCLC Dream Foundation, 32nd Annual Leadership Conference embraces Dr King’s Flag. Our flags honoring Dr. Martin Luther King, Jr. and Cesar E. Chavez were designed to promote awareness in the form of a visual aid for the world’s eyes to see. 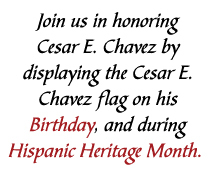 Our hope is that by displaying these flags they will help raise awareness, open up dialogue, and promote the legacy and teachings of Dr. Martin Luther King, Jr. and Cesar E. Chavez. We see these flags as a visual aid or tool in promoting peace during marches, parades, and civil rights rallies. We hope every home, school, and business will proudly display these Commemorative flags. 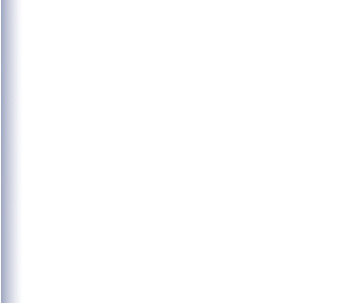 © Copyright 2008. Ross Flags and Design LLC. All rights reserved.